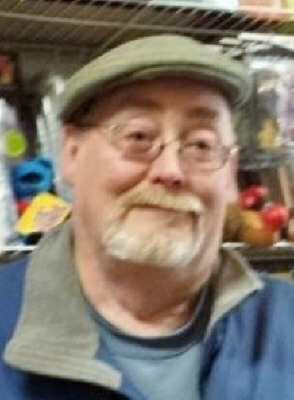 James M. Rennie, 63, died unexpectedly on Thursday, January 24, 2019. He was the loving husband of Ann (Munroe) Rennie, and son of the late Edward E. and Velma (Kenny) Rennie. Jim was a lifelong Beverly resident who graduated from Beverly High School Class of 1973. James was a fixture in Auto Parts Industry of the North Shore for decades. Jim was a leader and volunteer with the local Boy Scouts of America troop six of Beverly. He will be remembered by his family and friends as a food lover, a barbecuing legend, and a grill master. Jim was a fan of all the Boston sports teams (unless the Patriots were playing the Steelers), and a basketball star in his youth. He loved cars and was always known for owning the nicest ones; whether they were tearing up the streets or half taken apart in his garage. Jim never met a dog he did not have an instant connection with, and he raised three beloved and spoiled labs. He will be missed by many friends and the whole crew with The Wall on the Hill in Beverly. He is survived by his wife of thirty-one years, Ann, his son, Matthew James Rennie of Salem, six brothers, Edward Rennie of Salem, William Rennie of Lubbock, TX, Stephen Rennie of Falmouth, Paul Rennie of Downing, PA, Thomas Rennie of Rowley and Patrick Rennie of Beverly; many nieces, nephews, and in laws. To send flowers or a remembrance gift to the family of James M. Rennie, please visit our Tribute Store. "Email Address" would like to share the life celebration of James M. Rennie. Click on the "link" to go to share a favorite memory or leave a condolence message for the family.